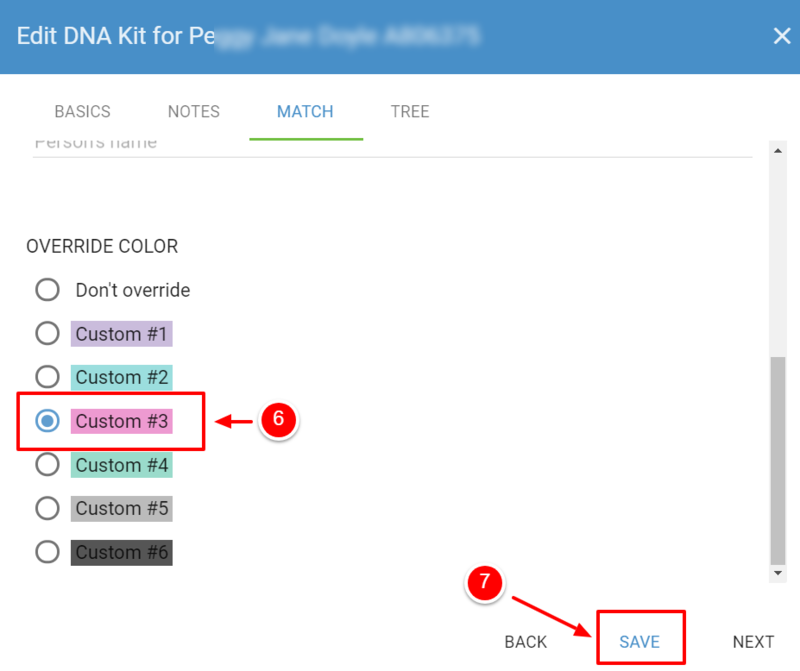 You can color code any kit by opening the Match tab in the Kit View and matching that kit to your tree or using the override function. RootsFinder has 12 colors to accommodate colorblind users. 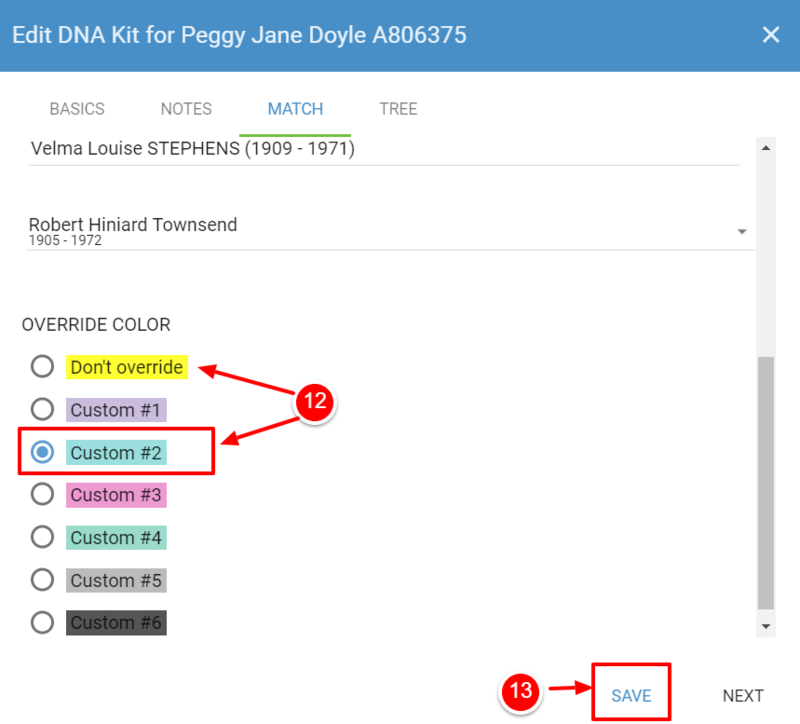 First open the DNA App by clicking on DNA in the left side menu. 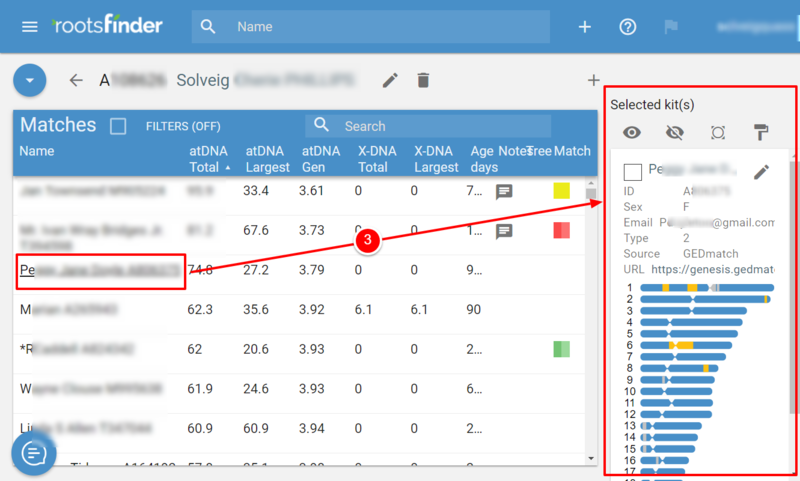 This will open the DNA Profile Page. 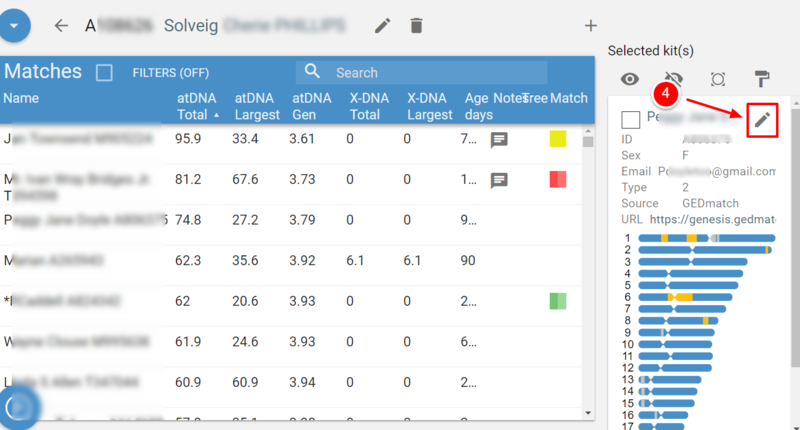 The DNA Profile Page lists the kits you have uploaded to RootsFinder. Click on the number of the kit you wish to work with. 3. This will take you to the List View. (See List View help page for more detailed information on the List View.) Open the Kit View on the right side panel for any kit by clicking on that kit in the List View. (See Kit View Basics for more detailed information on the Kit View). 4. Click on the Pencil icon to open the Kit View edit window. 5. Click on the Match tab. 6. 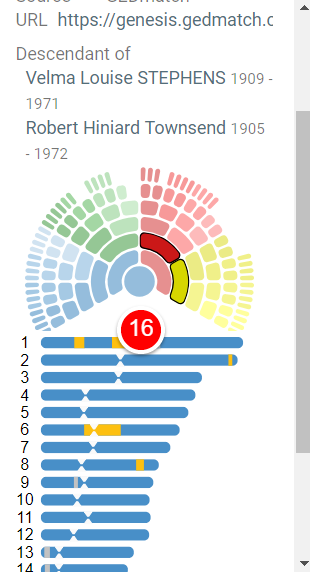 If you want to color this person's node in RootsFinder visualizations without matching them to your tree, scroll down to override color and select a color for this kit. This is very helpful for marking kits that you are currently working with, kits that have MiniTrees, or other characteristics you want to make more visible. You may choose from six colorblind friendly colors. 8. Follow steps 1 through 5 above. 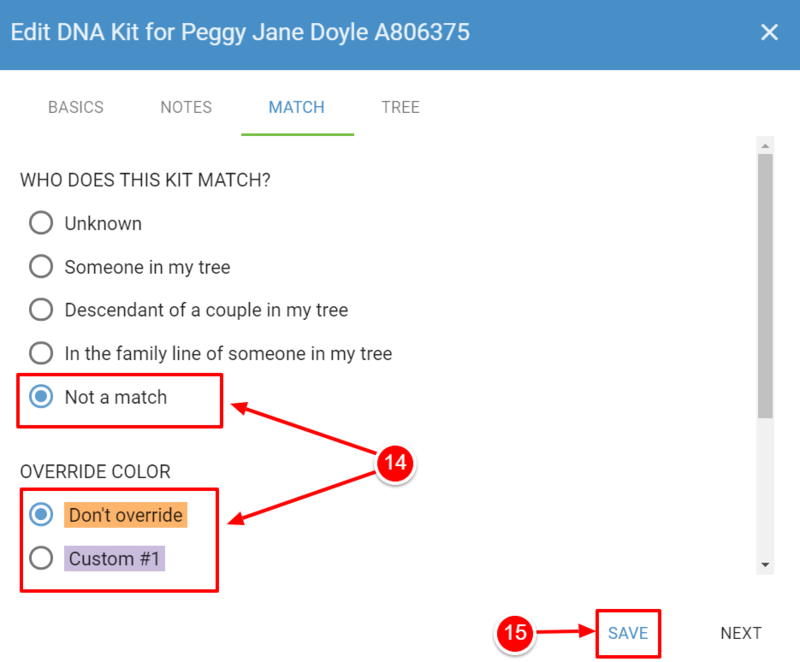 Choose from 5 options for how this kit is related to your tree. Unknown kits are by default, not colored. If you wish to color a kit with an unknown relationship, then follow steps 6 and 7 and choose the override color option. in the family line of someone in your tree. 10. 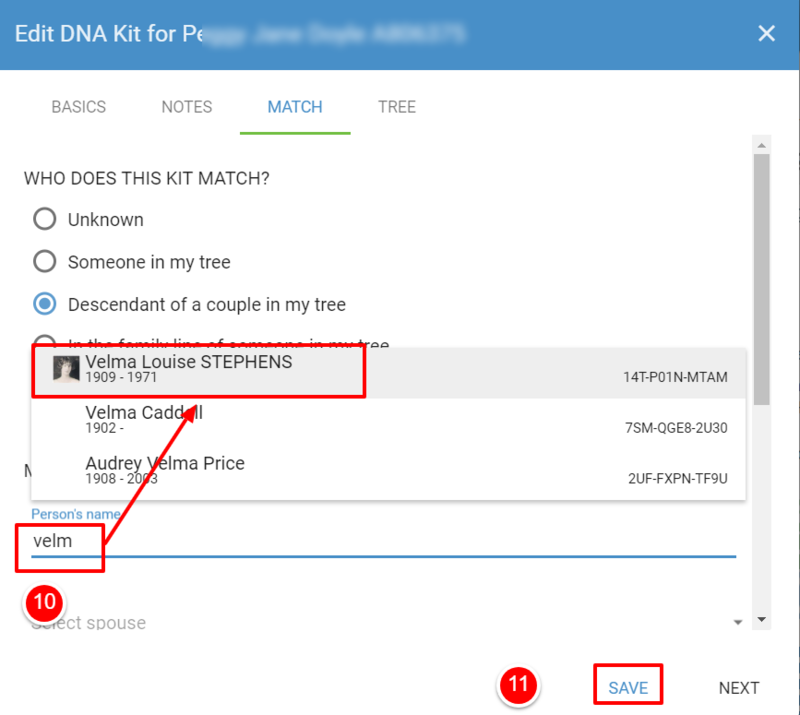 Start typing the name of the common ancestor and select it from the drop down list of persons already in your tree. You must select a person already in your tree to use this function. Otherwise, back out and add the necessary generations to your tree before matching. Note: if you are matching to a couple, the system will give you a choice of spouses who are in your tree. Make sure you have the right mother and father. 11. Don't forget to save. 12. 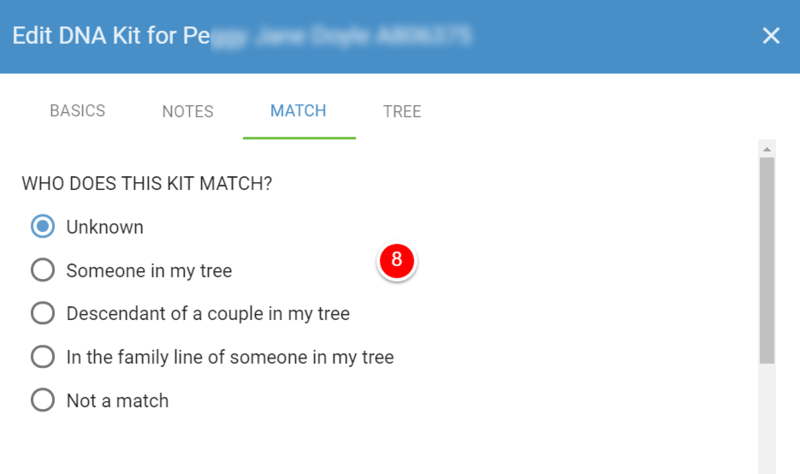 Now that you have chosen the relationship and matched it to someone(s) in your tree, you can color code the kit. By Default, the paternal paternal line is blue; the maternal paternal line is green; the maternal paternal line is red; and the maternal maternal line is yellow. Select Don't Override if you want the default colors or choose between lavender, aqua, fuchsia, teal, light gray and dark gray . This allows you to highlight particular people or lines and choose colors you can see if you are color blind. 13. Don't forget to Save. 14. Sometimes, you share segments with someone who isn't related to you or anyone in your tree. When this kit is marked "not a match," choose whether you want it colored burnt orange or violet. 15. Don't forget to save. 16. Now that your kit is matched and color coded, it is linked to the navigational fan chart. You can click through to your common ancestors.